Well, this weekend is my first west coast run, and I am so excited for it. This one has been a long time coming because I registered and planned this one starting the fall! Yes last fall! I had to get in! Flew into San Jose last night and driving to Carmel in a couple of hours. Yes, folks. 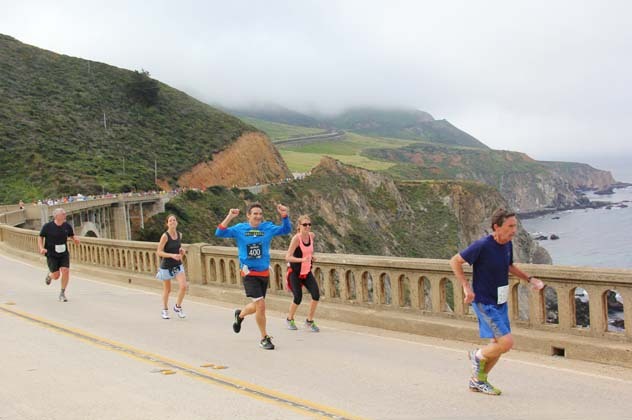 This is the Big Sur run. On the PCH! Ah! I can’t wait. I’m just running the 9 mile, and I plan on stopping to take photos. How could I not? Amazing view by the looks of it! Amazing! Can’t wait to see them. So gorgeous! And I just did the 9 mile!